*Buses leave from the Motif at 5:30, 5:40 and 5:50 pm. There is also plenty of parking at the Museum of Flight. The Space Frontier Foundation Awards Gala serves to honor five recipients of top awards for achievements in space exploration. These awards celebrate the promising future of the commercial space industry and humanity's expanding and permanent presence in space. The 2016 Awards Gala is sponsored by the Museum of Flight, the largest aviation museum on the west coast. Purchase your tickets on the Registration page before they sell out! Recommended dress code is formal evening wear or your fanciest space suits. A reception will be held prior to the Awards Gala from 6:00-7:30pm in the Museum of Flight's Charles Simyoni Space Gallery. Drinks and hors d'oeuvres will be served as guests network among multi-sensory exhibits and a full-size Space Shuttle trainer. The Space Frontier Foundation will hold its annual pinning ceremony to induct a new cohort of Advocates of the Space Frontier Foundation. The main event of the Awards Gala commences at 7:30pm in the T.A. Wilson Great Gallery, including a decadent three-course meal catered by McCormick & Schmick's, a silent auction, and the pinnacle awards ceremony with special guest MC Miles O'Brien, a renowned veteran space, aviation, science and technology journalist and filmmaker. At this event, the Space Frontier Foundation will recognize five individuals for their and/or their organization's outstanding achievements in efforts to develop the commercial space sector and open the space frontier. The 2016 award winners are Bigelow Aerospace, Emily Calandrelli, Rachel Crane, and U.S. House of Representatives Majority Leader Kevin McCarthy. Join us for an exciting evening with luminaries and changemakers of the space industry as we toast to the future of commercial space and human settlement. Miles O'Brien is a veteran, independent journalist who focuses on science, technology and aerospace. He is the science correspondent for the PBS NewsHour, a producer and director for the PBS science documentary series NOVA, and a correspondent for the PBS documentary series FRONTLINE and the National Science Foundation Science Nation series. For nearly seventeen of his thirty years in the news business, he worked for CNN as the science, environment and aerospace space correspondent and the anchor of various programs, including American Morning. 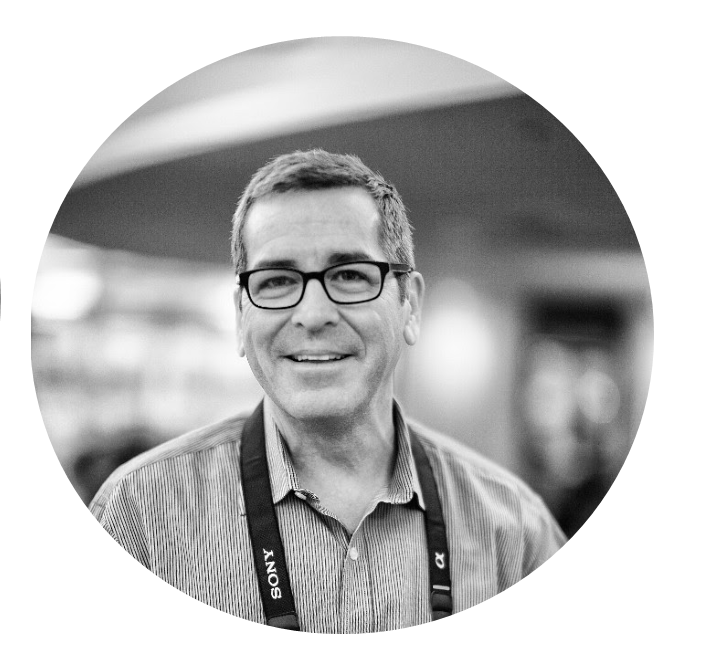 Learn more about Miles O'Brien on his webpage. This award is for early leaders of the NewSpace industry who have left a lasting legacy either through their own personal investment or the creation of a newspace business. The 2015 award was presented to Made In Space for realizing 3D printing in space. Bigelow Aerospace is a startup space technology company that manufactures and develops expandable space habitats. The company was founded by Robert Bigelow in 1998 to provide affordable destinations for national space agencies and corporate clients. Bigelow’s BEAM expandable habitat became the first commercial module to attach to the International Space Station. The company also recently entered into a NextSTEP contract with NASA to study the applications of their B330 expandable habitat for scientific research and human life support. This award is presented to an individual who was an early leader and pioneer in the creation of the newspace industry. This individual has left a lasting legacy either through their own personal investment or the creation of an early newspace business enterprise. The 2015 Pioneer of NewSpace award was presented to Robert Brumley, Managing Director of Pegasus Global Holdings and international law practitioner. Representative Kevin McCarthy serves California’s 23rd district and is currently the Majority Leader in the U.S. House of Representatives. Rep. McCarthy introduced the U.S. Commercial Space Launch Competitiveness Act – signed into law last year – to implement a number of key policies intended to facilitate the growth of the commercial space industry. He was first elected to Congress in 2006 and is a native of Bakersfield, CA where he opened his own deli at the age of 19. Rep. McCarthy is a graduate of California State University. This award recognizes a journalist with the exceptional ability to present the newspace story to the world. The 2015 award was presented to Eric Berger for his work at the Houston Chronicle. Rachel Crane is a correspondent for CNN covering tech, space, science, pop culture, innovation and breaking news. Crane creates original video content to be shown across CNN's platforms, including the original series, City of Tomorrow, which highlights innovations in cities around the world, Elon Evolution, which explores the greatest problems plaguing the globe with Elon Musk, Pioneers with Rachel Crane, which profiles the great minds who are pushing the boundaries of human achievement, and Way Up There, which takes a deep dive into the future of space exploration. She came to CNN from Bloomberg, where she was a technology and innovation correspondent. In this role Crane served as host and producer of "Bloomberg Brink," a show highlighting cutting-edge technology and new ideas, and "The Next Space Race," taking viewers on a journey through the thriving space exploration industry. Previously, Crane also produced and hosted "I Believe," a web series on religion in America, "Fleaing the World" a series on the business of flea markets, and a documentary on homeschooling titled "Home Ed". Crane has a long history covering innovation and space, interviewing SpaceX and Tesla CEO Elon Musk, Amazon’s Jeff Bezos, Virgin’s Richard Branson, famed futurist and Google's director of engineering Ray Kurzweil, and NASA Administrator Charles Bolden. She is a graduate of Princeton University with a bachelor's degree in religious studies. She also received a master's degree in news and documentary film from New York University. She hopes to travel to space one day. The award goes to an individual who reminds us about possibilities of space and what it means for the world. The 2015 award was presented to author Andy Weir for his best selling book, "The Martian." Emily Calandrelli is a producer and the host of FOX's Xploration Outer Space where she explains science-related topics in a digestible and entertaining way. She also covers the space industry as a writer for TechCrunch. Emily is a professional speaker and gives talks on the topics of space exploration, scientific literacy and equality. She received her bachelors in Mechanical and Aerospace Engineering from West Virginia University, and a Masters in Aeronautics and Astronautics as well as Technology and Policy from MIT. Service to the Frontier: Secret! This award is given to an individual who has shown exceptional volunteer service to the Space Frontier Foundation and dedication to advancing NewSpace. The 2015 award was presented to Curtis Iwata. Help the Space Frontier Foundation realize the vision of an expanded and permanent human presence in space through a thriving commercial space industry!